There are many types of people in the world; some good, and some not so good. One of the types of people who fall into the second category are hypocrites. A Hypocrite is basically a person who pretends to be something but is in fact the opposite of that person. One of the definitions of a hypocrite defines someone who claims to have certain beliefs about what is right but behaves in a manner that is disagrees with those beliefs. A Hypocrite is often defined as one who has not virtue, who puts on a false appearance, a person who acts in contradiction to his or her stated beliefs or feelings, and someone who holds other people to higher standards than he holds himself. 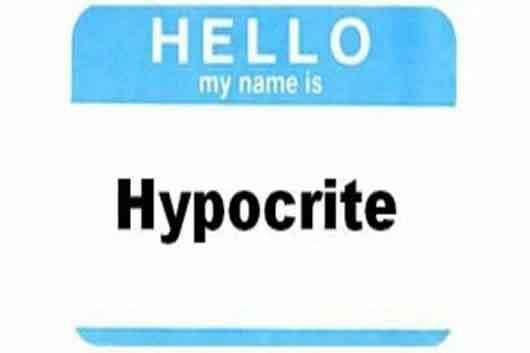 The term, Hypocrite, is rooted in the Greek ‘hupocrits’, which basically means ‘actor.’ Hence, a Hypocrite is an actor who pretends to be something he is not.